← Should You Be a Lifer at Your Job? Much has been written about the importance of setting goals to achieve success but I think it is also an important strategy when wondering how to make life better for yourself. To improve your life you need to know what is important to you, what things you want to achieve and how you are going to go about achieving them. You wouldn’t set out to build a house without first deciding what materials to use and what design you want. Your life is no different; you need to know what you want but you also need a plan to help you build it right. Establishing goals will be a major step in achieving what you want in life. You can’t, and won’t, get what you want if you don’t know what it is you want. Before you can set your life goals, you need to have worked out what is important to you. When you know what is important, you then need to make these things into a priority list with the most important at the top. This list of your priorities in life will form the blueprint for setting your life goals. It will also form the benchmark against which you will measure your achievements and help to keep you on track. For example, if your career is a priority for you, think about how you want your career to develop, what you want to achieve in your working life and what steps and strategies will you need to put in place to achieve what you want. The best goals are specific, so fill in the fine detail as you are making these decisions. When do you want that promotion? Who do you want to work for? When do you want to be earning that salary figure? When do you want to achieve that success? How will you achieve that? Knowing what you want isn’t enough; you need to also work out the when, why, how, who and where of your goals. This information then forms the backbone of your life plan. Maybe family is a top priority for you, so you need to think about what family actually means to you. If health is a priority, what does good health look like to you? How will you go about achieving the level of health that you want? If having a secure financial future is on your priority list, what exactly does that mean to you in dollar terms and how will you be able to achieve it? How much will you need to live the life you want; how much will you need for a comfortable retirement? This is a very personal process; your priorities will be different to mine and your goals will be different to mine; this means that your life plan will be different to mine. So don’t compare your plan with anyone else’s and don’t judge your success by comparing with anyone else either. Your life is your journey; if you have determined your priorities, set your own goals and worked out a plan, then the results are in your hands. Don’t be tempted to give over control of your life to another person; that is a recipe for disaster and unhappiness. Once you have set the goals for your life and developed a plan for achieving those goals, you can relax about how your life is going to turn out. You’ve made the important decisions so now you can put all your thought and effort into working the plan and achieving the goals. You get to enjoy the life you are creating without the stress and worry about what you have to do. It’s a good idea to review your goals from time to time. As we live, we grow; as we grow, we change. The goals we make when we are twenty may not fit when we are thirty. Our priorities can change just like our circumstances; as we live the life we planned, new ideas and opportunities can come up. So be prepared to review, tweak and change your priorities, goals and plans. You also have to be prepared for the unexpected because things happen in life which are not in the plan. Sometimes, despite your best efforts, the plan doesn’t go to plan; how you deal with this will have a big impact on your ability to regroup, alter your plan and get on with making your life better again. 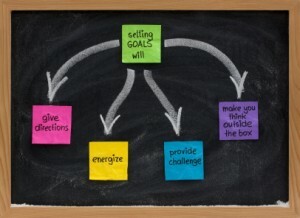 Use your goals as a basis for developing a new plan for your life and establish new goals if necessary. I learned from personal experience how life can change. We had planned for our families to both live in the same province as us and our entire schedule and financial plan etc. was geared to this. So when one of our families moved to the other side of the country, everything went out the window. We had to reassess, set new goals and make a new plan on how to afford and see our family. Wonderful how life throws curve balls, isn’t it? It was as I was redefining my goals that I came upon the idea of writing a personal mission statement. I was familiar with mission statements at work but had never thought about having a personal one. It took me a while to create a mission statement that said everything I wanted it to but the exercise gave me great insight into where I wanted my life to take me. Definitely consider doing this; it brought a clear direction to my life. I hope you enjoy the process of making your life better by setting goals as much as I do. Regularly check up on how you are tracking by asking yourself if what you are doing is keeping you aligned with your goals and taking you in the direction of the life you’ve dreamed. That is true. Know your priorities, set your goals, think of strategies on how to achieve them, always prepare a Plan B, stay focused, and you’ll have a rewarding life. It is easier said than done. People start out like this but keeping it up is the hard part. Agree. Goals are great for keeping you focused but they also have to change when things in your life change. Being able to be flexible I think is one of the biggest ways to be successful in life. I really enjoy setting goals and working hard to accomplish them. Its not something that everyone wants to do simply because some people do want to be held accountable or fear failing. Like you mentioned about building a home you would have a plan and strategy in place before you start. Thats the probable most people don’t know where to start so they do nothing. Sometimes failing at goals helps us get better. I set big goals with mini check points to keep myself on track. I believe failure makes us better. It is a key to success. It teaches us what doesn’t work so we can figure out what does. I just started a new position at work and am a big fan of goals. It is crucial everyone on your team understands the overall goal or mission of the team and organization and works towards that goal each and every day! I tend to set intermediate and daily goals and that is what drives my efforts. Congrats on the new job . I am with you. I too set daily goals. I find it helps me feel like I have done something with the day in the end and I can go to bed satisfied. Oh wow. Congrats on the new position, Paul. And good luck with your goals. I find focusing on my priorities very important to the goals I have set in life. It gives me a better perspective of what I need to work on in order to achieve my goals. I agree. Without goals you have no direction. I find focusing on my priorities in life very essential when setting goals for myself. It gives me a better perspective on what I need to do in order to reach my goals. I believe whole heartily in setting obtainable goals with your priorities in mind. It’s a process that just keeps you going through the rough patches. Thanks for the great read! I agree. LIfe has curve balls that catch us off guard but if we have a plan and goals in place, we can stay focused even with the disruption. I like how you are on the goals and habit kick in your writing! You cannot accomplish anything without measurable goals that are WRITTEN DOWN for all to see. Thanks for this! Thanks. I find it is really helpful to work on things like this. Life gets so much better. I’m a big fan of goal setting and working towards them. You are right. Publicizing what you are going to do helps you stay motivated at actually accomplishing it. My goals have been very fluid. When I was young, my goal was to do my best in the Air Force, then it was to do my best in college and come out with no debt. Then it was to do my best at work, buy a house, and save for retirement. I zoomed up in pay and responsibility for the first 12 years of my career. Then I got married and we had a kid. Main goals were to make sure I was indispensable at work and to make sure family was cared for now and in the future. Current main goals are to make sure retirement is on track even with reduced equity risk in asset allocation (I use an Investment Policy Statement in which my investment and savings goals are written down), college savings are on track, and family is happy. We did a lot over the summer, and plan to cap the year off with a trip to Hawaii later this year. I think you have the key. Goals will change depending on our circumstances in life and they should. The important thing though is to keep setting those goals. They help you do what you want with the life you have. We can’t get any lost years back. It’s true. The sooner you have a direction for your life, the faster you will actually accomplish things. Very well said. I agree. Goals help us live with purpose. What a great way to live – accomplishing things. Life is too precious to waste.